Made from a completely unique and non-toxic fibre composite mix, termites have no interest in FireCrunch. 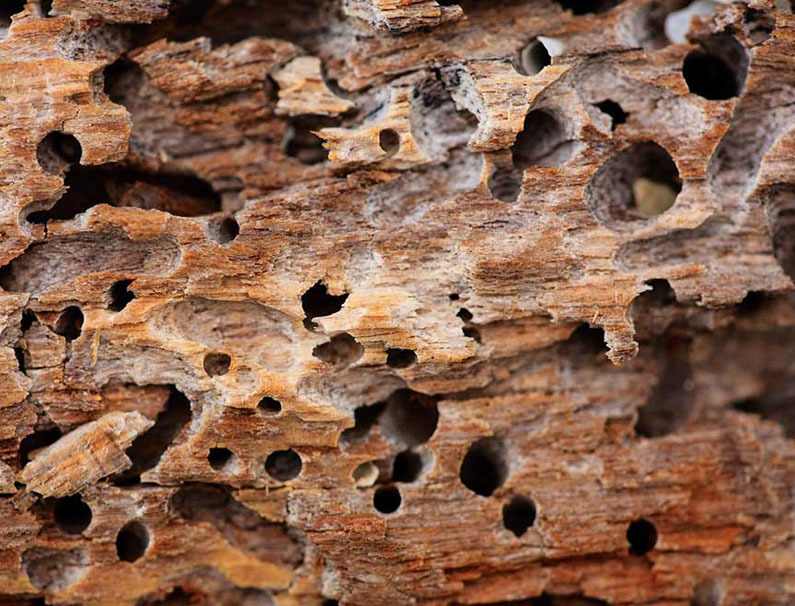 Householders and property owners suffer extensive damage to timber framed construction caused by the endemic termites in Australia. There are about eight destructive species in various forms, mainly distributed along the coast lines. FireCrunch and FIRECRUNCH cladding total protects all expensive timber framing . Termite resistance is a similar element to that of the bacteria resistance due to the chemical compound of Magnesium Oxide (MgO) acting as a final deterrent to termites. Termites and the like have no interest in our Magnesium Oxide board. As termites cannot consume MgO and the materials used to produce FireCrunch, our products significantly protect expensive timber framing more so than any other environmentally friendly building material, including high Co2 polluting products like CFC, Blue board, villa board and similar building materials used today. This level of termite protection is especially important in areas that are surrounded by trees, forestation and damp humid areas close to property. There are over 2500 types of termite on the planet and 350 of them are in Australia, around the coastal regions. Of these some 8 types are vociferous consumers from plastic to leather, timber and a range of other household materials. Soldier termites are a type of termite that excrete an acid type substance when disturbed or attacked, which can burn through the plastic covering of electric cables. Approximately $1 billion of termite damage is related to termites each year in Australia, so when building with fire rated plasterboard or any plasterboard, remember that it will not protect your expensive timber framing. Think again and choose FireCrunch. The small extra cost less than 5% of the entire home will save you huge future damage costs well exceeding the small initial extra cost of FireCrunch. Our termite proof building boards allows for the ultimate in protection from such critters.